This gorgeous and tastefully furnished villa offers a triple garage with maids quarters, which could also be used for additional guest accommodation. In the main garden off the pool area there is an external cabana area suitable for covered BBQ / kitchen area. 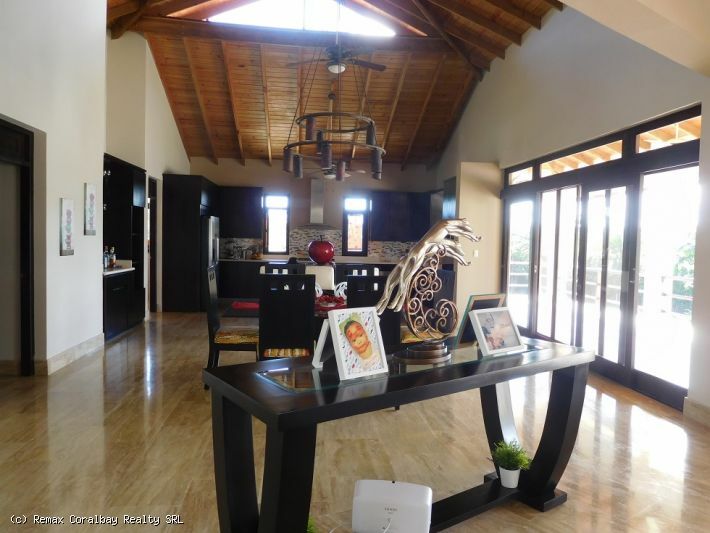 The villa has been tastefully furnished throughout and the furnishings are included in the asking price.Stepping in to the villa you are greeted by a large living space with custom woodwork throughout and wooden vaulted ceilings. The ground floor comprises of open plan gourmet kitchen / dining area with the living area offset. Also located on the ground floor are the 2 guest bedrooms ensuring complete privacy for the over-sized master bedroom located on the 2nd level. The main living area extends out on to the large terraces and on to the main garden and pool area. 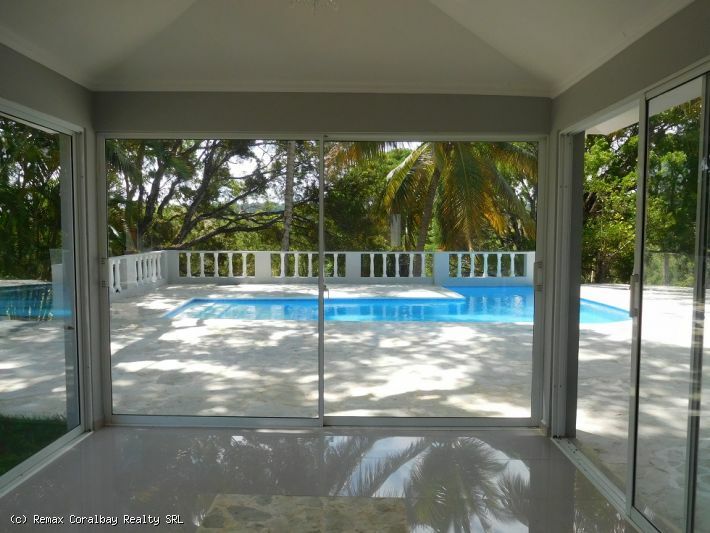 Located in a very upscale Haciendas el Choco gated community in the Sosua/Cabarete area this building lot offers 22,200 sq meters of beautifully maintained property. This secluded community is one of the most prestigious in the area with a homeowner controlled HOA. Build your own private villa and join dozens of others who “have a piece of paradise”. Already in place is a 3 stall barn complete with kitchen and bath, 3 outbuildings ( including a large garage) and cistern. Visit our main site at Dominican Republic land / lots for sale for more options.